We need your help!! Check out below and if you can help, please get in touch. No new ride reports this fortnight so I’ve taken a look back over the figurative shoulder at 2016. John explains what its like to be a new RO and I’m still waffling on about drivetrain lubrication and gearing. Enjoy the ride. In order to keep the club wheels spinning we have a need to find people for the following activities. Get in touch to find out whats involved. It’s enjoyable, doesn’t take a lot of time, it isn’t rocket science and I need to find a new owner to take this on in 2019 in any case owing to other commitments. Earlier this year I called for ride reports from an RO’s perspective. John McMullan answered the call and tragically, his article has languished on my computer until now. Deepest apologies to John for this oversight. Nonetheless I have added it to the library, but chose to publish it here rather than as a ride report as its a very good read. For others that want to see the other side of the rides hopefully this is a glimpse – other RO’s can talk about supported rides but for an extra challenge, put your hand up to be an RO. I continue my fascination with drivetrain lubrication. A number of “next generation” wax based lubes are tested with interesting results. I’ll definitely be giving the recommended product a try once I need to grab some new lube. Earlier this year I described the modifications made to my Defy in order to tackle the local hills. I went with the 8070 gs (mid cage) rear mech, 52-34 (oval) on the front and 11-34 on the back. It seems I may not have gone hard enough. This series of articles shows how the changes could have been taken to the next level. And while this is done with a manual drivetrain, it appears equally possible with Di2 with some customisation of the e-tube software. I have no new ride reports for you and so I thought I would cast my eye to the past and see what we were doing two years ago. Anthony Richardson reflects on the final Middle Park Medley. Kym Raffelt shares his Scenic Rims experience. Click on the ride name for online registration. As good as a seaside holiday. Head North to Brighton, then feel the wind in your helmet as you meander down the Eastern coastline; taking in Wellington Point, Cleveland Point, Victoria Point, and a quick pass through the Gold Coast. Mostly flat. The course includes bike paths, and roads, and an easy sprint home along Veloway 1. Hilly 200 km ride taking in Mt Glorious, Somerset Dam, Kilcoy, Woodford and Mt Mee. Very scenic, a nice 200, stacks of fun. There will be a few little tweaks on the previous course that i think you will like. A scenic and fairly flat ride to Beaudesert and beyond with plenty of farming country on show. Takes in Bromelton, Kerry Valley, Darlington, Christmas Creek and Beaudesert before the hilly return leg to Mount Warren Park via Veresdale Scrub and Logan Village. 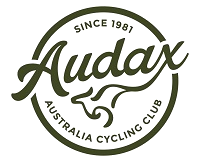 This entry was posted in Audax Queensland. Bookmark the permalink.